Facebook Home for Android unveiled | Android Blast! 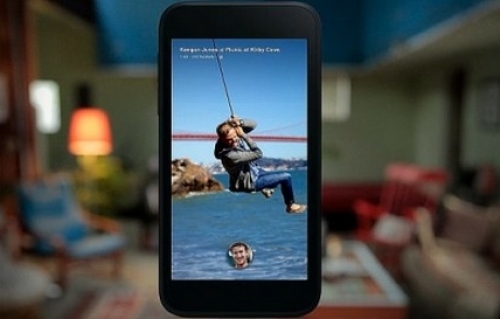 Facebook unveiled its Home for Android at an event in California Thursday. Instead of announcing a Facebook phone, the company unveiled Home, a new software that takes over the core functions of your phone and makes it effectively a Facebook phone. Home takes over the lock screen, and home screen of your Android device and plugs directly into Facebook. "Cover Feed" will show your important Facebook content on your home screen and allow you to see your feed at a glance. You can of course go deeper into your FB content from there. Believe it or not, there are a lot of people out there who think of Facebook as THE Internet, and they might like having a Facebook experience the minute they turn their phones on. Others, like me, think the whole thing is silly. Zuckerberg confirmed the company is not making a phone because they want to be on more handsets than they could sell themselves. Facebook Home will beavailable on the HTC One and Samsung Galaxy S4 on April 12th. Other device roll outs will follow. You can download your copy in the Google Play store when it becomes available.